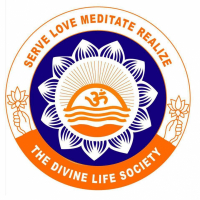 The Divine Life Society (DLS) is a spiritual organisation and an ashram, founded by Swami Sivananda Saraswati in 1936, at Muni Ki Reti, Rishikesh, India. Today it has branches across the world, the headquarters being situated in Rishikesh. Also, many disciples of Swami Sivananda have started independent organisations in Mauritius, the US, Australia, Canada, Malaysia, South Africa, South America, and Europe.